Looking for a new digital stage piano? We may have just the one you have been looking for. The Yamaha CP4 review will share all the information that you need to make a decision about this stage piano. Yamaha is one of the best known names in digital pianos and they have been at the process for quite a few years so every digital piano is consistent and reliable. The CP4 is an excellent model that offers many of the bells and whistles that you find on the more expensive Yamaha models. It is not at the lowest end of the price point but it is not at the highest either yet you do find many of the high end features nicely programmed into this digital piano. There are a few things that jump right out at you about the Yamaha CP4. It is lightweight which makes it ideal for travel to and from practice sessions and the stage but you will also notice right away that unfortunately it does not come with a stand, it has to be brought separately. While not coming with a stand is certainly not a deal breaker it would have been nice to have one included but that is only a small part of what is going on with the Yamaha CP4 and it should not in any way cloud your judgement about this great stage piano. This is the stage piano that Yamaha claims is the best stage piano that they have ever built. It is in essence everything that you could want in a stage piano and then some. It is more a cross between a synthesizer and stage piano than just a stage piano. It really is a very impressive instrument which of course is no surprise considering that it is coming from Yamaha the manufacturer that creates some of the best digital pianos in the industry. Yamaha has a long history of providing musicians with the option that they need to create great music. Yamaha has several different lines of digital pianos that can be used for practice and performance. They are the most recognized name in stage pianos. They offer innovative technology, solid construction from high quality materials and superior sounds. Yamaha is well known for using digital sounds that are taken right from their highest end acoustic pianos. They have a unique way of capturing the sound which really benefits the playback sound. What Does the Yamaha CP4 Have to Offer? Of course if you are considering the Yamaha CP4 there is only one thing that you are concerned with and that is what it can do for you and your music. The good news is that you will likely be very impressed by what you find with this stage piano. 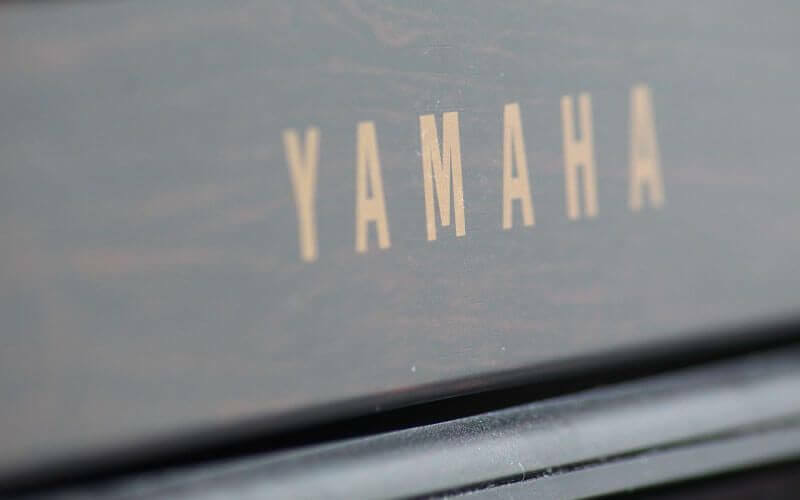 Yamaha is well known for creating good entry level keyboards as well as highest quality professional pianos and the CP4 fits right into the Yamaha repertoire of great instruments. The Yamaha CP4 offers an intuitive control panel that is much appreciated by both beginners and professionals. There are some great “extras” with this Yamaha that you do not find at this price point with other manufacturers which make it a really great value. The Yamaha CP4 is outfitted with real wood keys that are graduated to give it a nice natural feel. You also do not get that rather annoying clicking sound that you get with composite keys. These keys make it easy to transition from acoustic to digital and back again which makes it an excellent option for practice sessions. Some stage pianos have a huge learning curve when you go from acoustic to digital but because the keys are so similar to an acoustic piano the CP4 makes the transition back and forth seamless. There is a 1 touch layer, split option which makes this an easy keyboard to play. There are a full range of features that the Yamaha CP4 has to offer that really make it seem like a much more expensive instrument then it is. It is the little things that really make the CP4 a great value like the 433 voices that are available. You may never use all of them but it is always nice to know that they are there. The easy to use EQ sliders that help you to find just the right sound and those amazing 88 hammer action keys. They all come together in a great slim silhouette that looks fantastic on stage. It is always nice when you can use the same instrument for practice and performances. Like all Yamaha stage pianos, the CP4 gets its great piano sound from the top of the line Yamaha acoustic pianos that are very expensive and perfectly tuned so you never get that tin can sound that you get with some stage pianos. The sounds are taken right from the best sounding pianos and the Yamaha CP4 does an exceptional job of emulating the true to life sounds. The sounds that you get from the CP4 stage pianos are very hard to find with any other stage piano, you would have to listen to the original instrument to get a better sound. On many of the sounds you get different variations of the same sound so you can always find just the right sound for anything that you are composing. The CP4 offers the traditional instrument sounds that are commonly found on stage pianos AND you get a full range of other sounds as well. In all you get 321 sounds to really be able to compose as you see fit. Each of the sounds that you can play with the CP4 are true sounds that are pretty amazing. It all comes together nicely. It offers a 128 polyphony, 5 band EQ and Balanced XLR out jacks. You can record right through the USB connection. There are a lot of great features that are wrapped up into the CP4 that makes it a great stage piano. The patented MOTIFF Synth allows you to compose and create in ways you never thought possible. While this is marketed as a digital piano what you really get when you purchase the Yamaha CP4 is a hybrid of an ideal synthesizer, an orchestra, top of the line digital piano and organ sounds and it is all rolled together in an easier to use than normal digital piano. It is very lightweight and easy to transport so it is excellent for the road. It has all the stage worthy components so it is also excellent for performances but there is room for improvements. What Can Yamaha Do Differently? There are a lot of pluses on the side of the Yamaha CP4 but there are two things that Yamaha sort of skipped out on. There are no internal speakers which is really nothing more than a bother because you can easily snag some external speakers and get great results BUT Yamaha should design this keyboard with internal speakers so that the user does not have to worry about figuring out what to do about speakers. The other issue we already mentioned. There is no stand that comes with this digital piano. Does it affect performance but it would be nice if you could get everything you needed in one box and did not have to worry about it. This is not the least expensive model that Yamaha has to offer nor is it the most expensive. The Yamaha CP4 does offer a great deal of value for the money. It plays like a much more expensive model. It looks like a much more expensive model and while it is not the least expensive model it is very fairly priced considering the excellent offerings that it brings to the table. It is ideal for practice and for performance. It has a really nice stage presence because of its slim lines and it is very easy to transport because of its lightweight. It is perfectly priced and easily can meet the needs of different budgets. It is a professional grade stage piano that can also be used by beginners. The intuitive panel controls make it very easy to learn how to use the CP4 so skill level is not really an issue. Most users have easily learned how to utilize the controls and keyboard rather quickly regardless of their skill level. Most users have given the Yamaha CP4 a 5-star rating for usability and features. Overall the Yamaha CP4 is an excellent choice that will work for anyone that needs reliable practice and performance equipment. You don’t get the stand or the speakers but you do get a pretty iron clad warranty from Yamaha that will protect your instrument from manufacturers defects for up to two years so you can buy with confidence knowing that you are covered. If you are looking for a stage piano that has years and years of experience behind it and that comes from a trusted reliable source the Yamaha CP4 is the option that you should be looking at.